The Philippine National Football team, fresh from qualifying for the tournament proper of the Asian Football Confederation (AFC) Challenge Cup to be held next year, is now home after a grueling week in Myanmar. The players now turn their attention to their local clubs – those that are affiliated, anyway – before coming together again for the World Cup qualifiers late this coming June. The Philippines has participated in the qualifiers before. What makes this year’s participation different from the past is that not only does the country have a team that has a reasonable chance of progressing beyond the early rounds; it also has much more backing in terms of finances – crucial for preparations – and fan interest. To those who are new to football, the qualifiers are held worldwide by the continental football confederations to determine the 31 national teams who will be participating in the tournament proper of the next World Cup in 2014. Brazil, as hosts, is naturally automatically qualified. Spain, the current holder of the Jules Rimét trophy, has to go through qualifications as well. 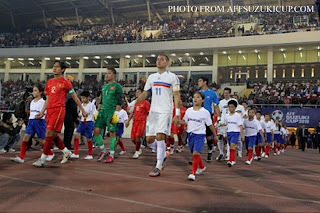 The AFC, which oversees the qualification process in Asia, has already announced a qualifying system in its web site. The system is based on predetermined seedings that take into consideration a national team’s participation and performances in the 2010 World Cup qualifiers as well as the 2011 Asian Cup. Forty-three nations have signified their intention to participate in the qualifiers. The Philippines, which did not participate in either the World Cup or Asian qualifiers, is the lowest-seeded national team. The seedings are independent of current FIFA world rankings. Of the forty-three nations, the lowest seeded sixteen teams begin the long journey to Brazil by playing home-and-away matches to be played on 29 June and 3 July. Exactly who plays who is to be determined by a drawing of lots to be conducted by the AFC this coming 30 March in Kuala Lumpur. These sixteen teams and their seedings are: 28. Malaysia; 29. Afghanistan; 30. Cambodia; 31. Nepal; 32. Bangladesh; 33. Sri Lanka; 34. Vietnam; 35. Mongolia; 36. Pakistan; 37. Palestine; 38. Timor Leste; 39. Macau; 40. Chinese Taipei; 41. Myanmar; 42. Laos and 43; the Philippines. Note that the order of the listing changes significantly if FIFA rankings are to be applied instead: 134. Vietnam; 138. Malaysia; 147. Chinese Taipei; 151. Philippines; 154. Cambodia; 161. Myanmar; 170. Laos; 171. Pakistan; 172. Nepal; 173. Sri Lanka; 174. Bangladesh; 181. Macau; 183. Mongolia; 195. Afghanistan; and 201. Timor Leste. AFC seedings and FIFA rankings, of course, fly out the window the moment these teams take the pitch. As I had written before, the FIFA rankings are based on actual games played and their subsequent results. Hence, teams that are potentially stronger may be ranked much lower simply because they have played significantly less international matches. Either way one looks at things – the AFC seedings or the FIFA rankings – even at this lowly stage, no game looks like a stroll in the park. The significant difference to the set of qualifiers this year compared to the last time we sent a national team is that there are those from among the countries who will be squirming if they get us. The last time – of course – everyone prayed hard that they got drawn against us. If I were to beg the gods of football at all for a favorable draw, then it will have to be against Timor Leste, Macau or our old friends from Mongolia. 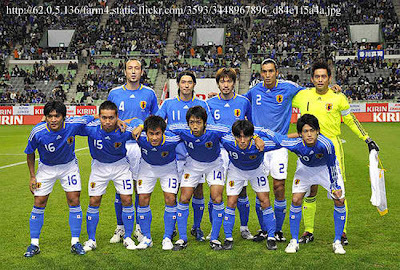 Timor Leste because that team now occupies the welcome mat position once exclusively reserved for us; Macau because even in the old days, we gave good accounts of ourselves against teams from the former Portuguese colony; and Mongolia because the weather in Ulan Bator should be so much more pleasant in June. Who knows? 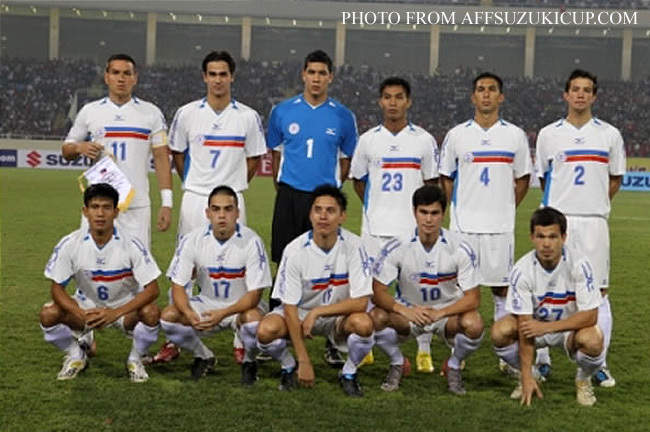 Maybe the Azkals may even enjoy a tour around the countryside. Against anyone else from the pack should be difficult; but not insurmountable. It is worth noting that our recent results against supposed lower-ranked teams – by FIFA standards – do not necessarily point to a victory. We drew 0-0 with Cambodia in the AFF Suzuki Cup qualifiers; and 0-0 with Myanmar in the Suzuki Cup tournament proper and then again 1-all in the recent AFC Challenge Cup. Everyone remembers, of course, that we defeated the highest ranked team of the lot – Vietnam – to trigger all the current interest in the national team. Should the Philippines hurdle its first round tie, it joins the seven other first round winners in the second stage of the qualifiers. Here, the eight first round winners are joined by 22 higher seeded teams: 6. Saudi Arabia; 7. Iran; 8. Qatar; 9. Uzbekistan; 10. UAE; 11. Syria; 12. Oman; 13. Jordan; 14. Iraq; 15. Singapore; 16. China; 17. Kuwait; 18. Thailand; 19. Turkmenistan; 20. Lebanon; 21. Yemen; 22. Tajikistan; 23. Hong Kong; 24. Indonesia; 25. Kyrgyzstan; 26. Maldives; and 27. India. A draw is made again to determine who plays against who in 15 ties that are again to be played home-and-away on 23 and 28 July. At this stage, the roster begins to look intimidating because of the presence of China, Uzbekistan and the traditional Middle Eastern powerhouses. However, some of our Southeast Asian neighbors are also in the draw; and would it just not be a dream to get Indonesia in a proper home-and-away tie? If the Philippines manages to win its second round tie, then it joins the 14 other winners in the third stage. In the third round, the 15 winners are joined by the top 5 seeds: 1. Japan; 2. Korea Republic; 3. Australia; 4. DPR Korea; and 5. Bahrain. All twenty teams will be divided into five groups of four teams. 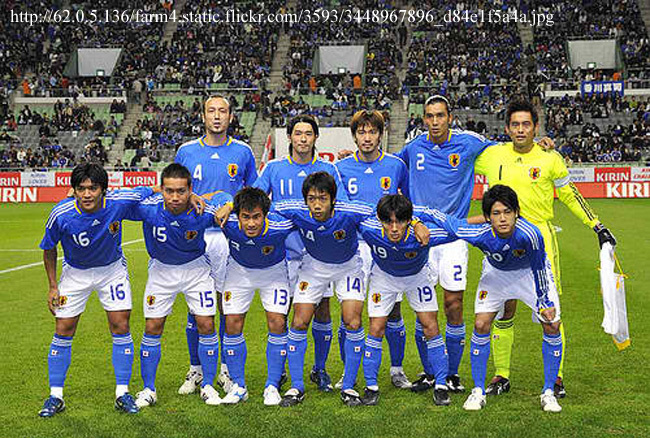 Matches will be played from September 2011 to February 2012, with the top two teams from each group progressing to the fourth round. The top 10 teams from the fourth round are then divided into two groups of five teams teach. Matches are spread over a whole year from June 2012 to June 2013 so as not to disrupt club seasons. 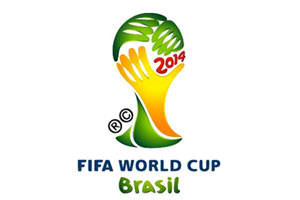 The top two teams from each group automatically qualify for the World Cup in Brazil. The two third placed teams from each group play-off against each other, with the winner advancing to an intercontinental playoff against a country from a different federation. 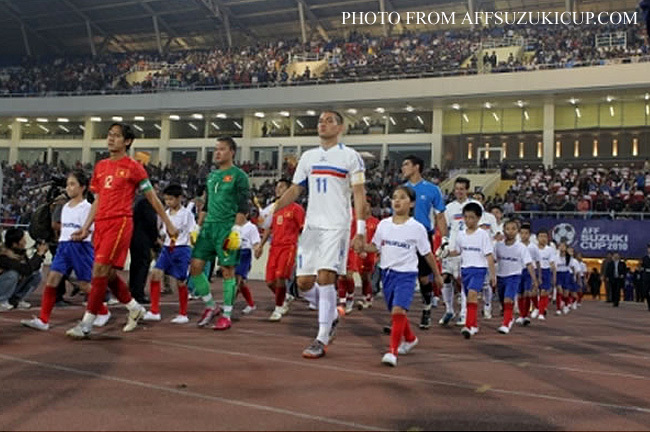 Will the Philippines be one of the Asian qualifiers for Brazil 2014? Team manager Dan Palami has been quoted on Twitter as looking for a “dream team” for the qualifiers. But, in all honesty, maybe let us all just soak in the experience. We want to be in it for the long haul; and at this point, what we should guard against is losing steam. The key to a home-and-away tie is to make the most of your home leg. How about we start building a proper stadium so we can all attend and scare the wits off visiting national teams? Since there is obviously not enough time to build one for Brazil, then maybe – realistically – it is Russia 2018 or Qatar 2022 that we should be aiming for?